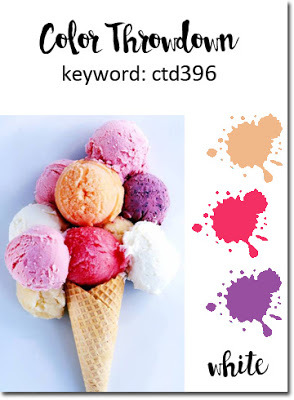 In this post, I am joining in with Color Throwdown's 396 Challenge. Totally glorious colours in the inspiration image. Take a look. Lots of stamping on this card. Not something I do often. 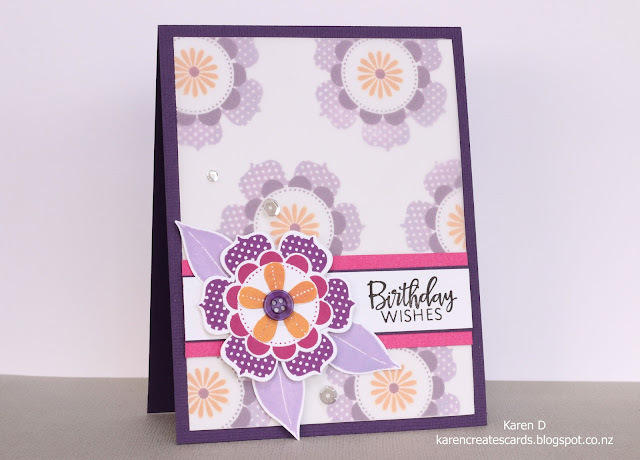 I love the idea of repeat stamping of an image but the background really competed with the focal flower. A layer of vellum did the trick I think?? 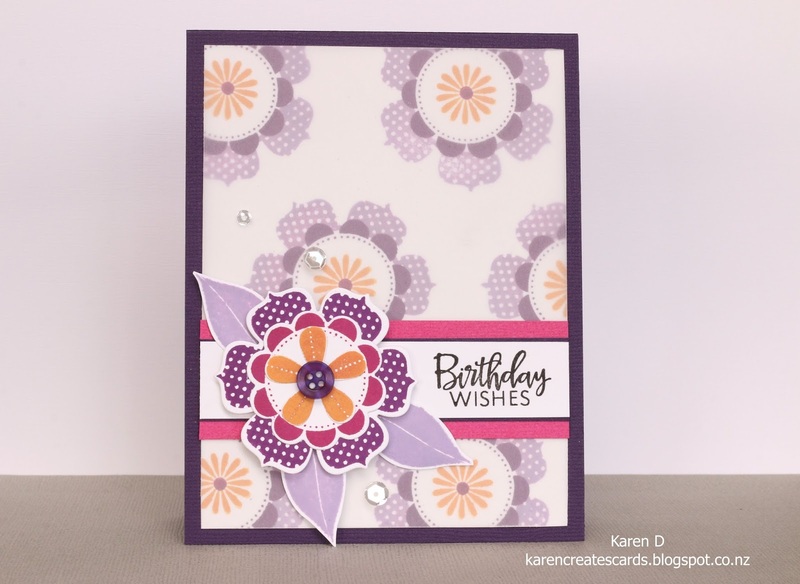 The stamp set is PTI's Beautiful Blooms II. Birthday Wishes is from Verve Beautiful Things stamp set. Wow you did a fabulous job with the colours Karen ! Stunning! This is totally lovely.....Thanks for cheering me by coming round !!!!! what a lovely card. 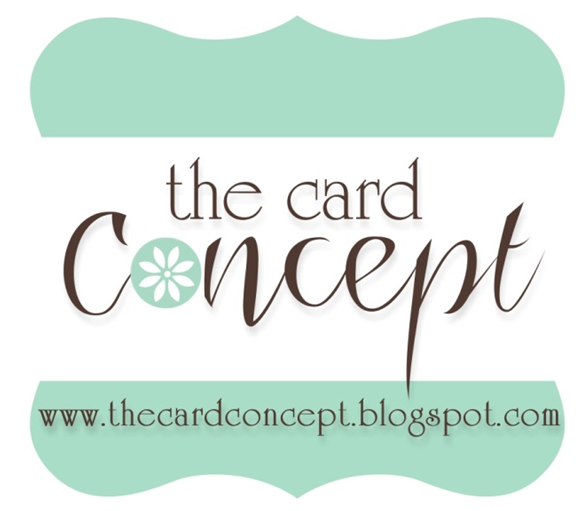 I love the subtle use of the colors in the back drop and then the POP with the focal image. so sweet. thanks for playing along with CTD.